IVI’s Open-Source Value Platform (OSVP) models improve over time through an ongoing cycle of public feedback, expert review, revision, and re-release. Public comments on new model releases are the basis for later changes, but these comments must be synthesized into specific recommendations and priorities for model improvements. Technical Expert Panels fill this essential role. For each disease-specific OSVP model released by IVI, a Technical Expert Panel of third-party subject matter experts is responsible for reviewing all public comments, identifying specific priorities for revisions, and developing a prioritized set of recommendations. These recommendations determine IVI’s revisions to the next model release. IVI develops open-source value models for specific diseases as a laboratory for developing next-generation methods for value assessment. Two models are currently available to examine value of therapies for rheumatoid arthritis and EGFR+ non-small cell lung cancer. Select a model below to start exploring. Dr. Garrison joined the School of Pharmacy faculty at the University of Washington in 2004. For the first 13 years of his career, Dr. Garrison worked in non-profit health policy research, first at the Battelle Human Affairs Research Centers (Seattle), and then at the Project HOPE Center for Health Affairs (Virginia), where he was the Director from 1989-1992. Following this, he worked as an economist in the pharmaceutical industry for 12 years. From 2002-2004, he was Vice President and Head of Health Economics & Strategic Pricing in Roche Pharmaceuticals, based in Basel, Switzerland. In October 2016, he became Senior Visiting Fellow at the Office of Health Economics, London, UK. Dr. Garrison’s research interests include national and international health policy issues related to pharmacogenomics and personalized medicine, regulatory benefit-risk analysis, insurance, pricing, reimbursement and risk-sharing agreements, as well as the economic evaluation of pharmaceuticals, diagnostics, devices, surgical procedures, and vaccines, particularly as related to organ transplantation, renal disease, influenza, measles, obesity and cancer. 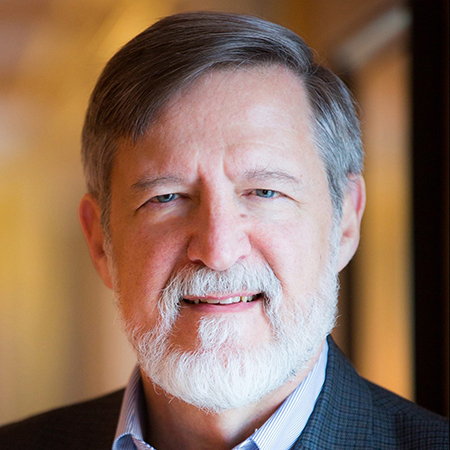 Stephen T. Mennemeyer is a Professor at UAB in the Department of Health Care Organization and Policy in the School of Public Health and a Scholar in the Lister Hill Center for Health Policy. He is the Chief Science Officer for the Survey research Unit in the School of Public Health. Dr. Mennemeyer holds a Ph.D. in economics from the State University of New York at Buffalo. He has previously worked for Abt Associates Inc. as a senior economist and project director (1979-1989), for the Health Systems Agency of Western New York (1977-1979) as an economist, and for the School of Pharmacy at the State University of New York at Buffalo (1975-1977) as Assistant Professor. Since 2010 he has been a member of the Agency for Health Care Research and Quality, Healthcare System and Value Research (HSVR) study section. 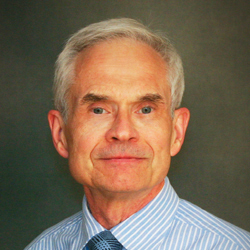 Dr. Mennemeyer’s work includes cost effectiveness or cost utility analyses regarding stroke rehabilitation, antiviral therapy for neonatal herpes simplex virus, and drug abuse treatment for the homeless as well as other studies on child obesity, health care labor, clinical laboratory competitive bidding and patient response to hospital mortality information. Recently he developed a discrete event simulation model to examine the cost effectiveness of earlier cataract surgery as a strategy for reducing motor vehicle collision. He is currently working on an Agent Based simulation model to examine how treating HIV + women for depression may affect their adherence to HIV therapy and the transmission of the HIV virus. Dr. Michaud serves as co-director of the National Data Bank for Rheumatic Diseases (NDB), the largest long-term open-cohort observational study of its kind with over 40,000 patients enrolled. 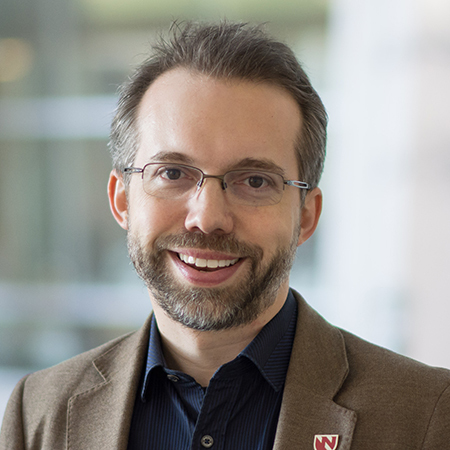 Since 2007, he has been the principal investigator of the RAIN database composed of several rheumatology clinics in the Rheumatoid Arthritis Investigator’s Network, and has led the transition to using electronic tablets in the UNMC rheumatology clinic. He is co-founder and director of Clinical Informatics for the Arthritis Internet Registry (AIR), a partnership with the NDB, Arthritis Foundation, and Quest Diagnostics. As an active volunteer in the American College of Rheumatology and Association for Rheumatology Health Professionals, he has served 8 years in developing the Rheumatology Informatics System for Effectiveness (RISE) national registry. He also works closely with Dr. Ted Mikuls on the Veteran Affairs Rheumatoid Arthritis (VARA) registry. His primary research interests revolve around pharmacoepidemiology, health projects include: mortality in rheumatic diseases, cost-effectiveness of rheumatoid arthritis treatments, and impact of collecting patient reported outcomes via smartphones. He has received funding from the AHRQ, NIH, Arthritis Foundation, and Rheumatology Research Foundation, and is the director of the UNMC Rheumatology fellowship research program. After finishing her medical degree at UTHSCSA, Dr. Perkins was accepted to the Medical College of Virginia at the Virginian Commonwealth University in Richmond to complete her residency in Internal Medicine. She specifically chose this residency program to complete a women’s health track as part of her training. Ultimately, it was her experiences with tough autoimmune diseases that influenced her decision to subspecialize in rheumatology. As a natural problem solver, Dr. Perkins quickly gravitated to the complex diseases that her field presents. Rheumatology Care Center is at the center of Dr. Perkins’s sustained vision to provide the best health care possible. Her practice continues to grow rapidly with the support of wonderful staff and medical community. 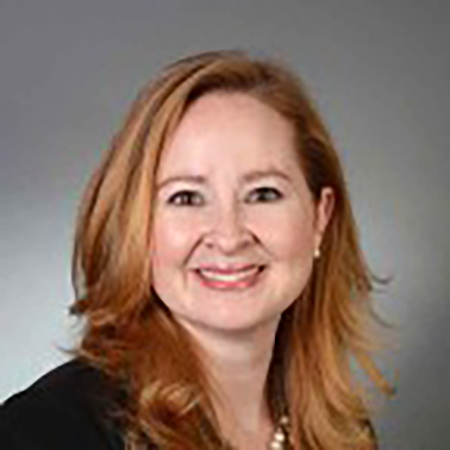 Her leadership and advocacy spirit fuel her efforts in the American College of Rheumatology (ACR), Alabama Society of Rheumatic Diseases (ASRD), and Arthritis Foundation. 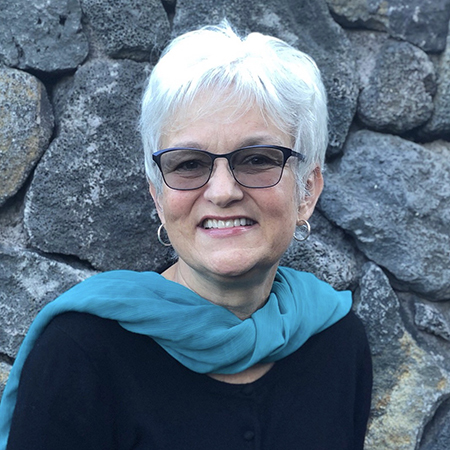 Ms. Wiedmeyer is an experienced researcher who has led and contributed to numerous studies in the transportation, technology, energy and health care industries. As a patient with rheumatoid arthritis, she has also recently contributed to several rheumatoid arthritis-related studies. Her research experience includes developing quantitative and qualitative research designs; developing research instruments and fielding plans; moderating focus group/small group discussions and individual interviews; conducting website, software, and app usability testing; supervising fielding and data processing; conducting analysis and report writing; and presenting research findings. She has extensive experience successfully fielding large studies in the U.S. and internationally using a variety of data collection methods. 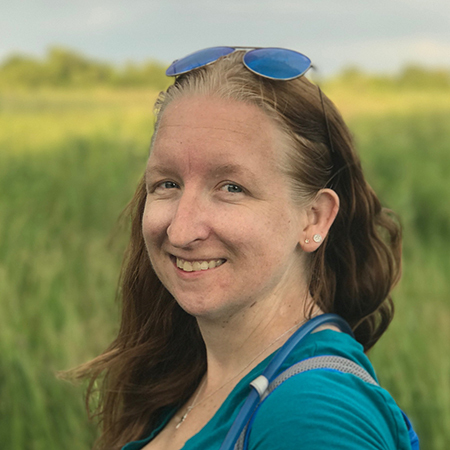 In addition to her work as a patient researcher, Ms. Wiedmeyer serves as a Patient Governor with the Global Healthy Living Foundation’s (GHLF) ArthritisPower initiative, which established a network of thousands of arthritis patients dedicated to participating in arthritis research. During that time, she spearheaded the formation of the GHLF Patient Partners in Research, which expands the pool of patient volunteers who are trained in research methods and available to collaborate directly with academic researchers on arthritis research. 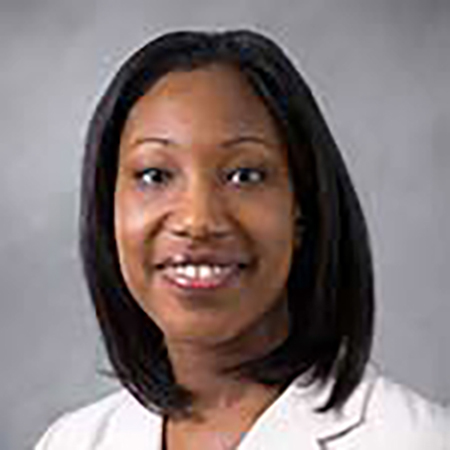 Jhanelle E. Gray, MD, is a Medical Oncologist and the Director of Clinical Research in the Department of Thoracic Oncology at H. Lee Moffitt Cancer Center and Research Institute in Tampa, Florida. She received her undergraduate degree from the University of Florida and her medical degree from Cornell University Medical College in New York City. Following her internship and residency in Internal Medicine at Cornell, Dr. Gray returned to Florida and completed her Medical Oncology Fellowship at Moffitt. She is a faculty member in the Department of Thoracic Oncology at Moffitt Cancer Center where she has been practicing since 2007. Dr. Gray believes in empowering patients by providing the necessary information and recommendations that will help them make the right decisions to meet their needs. She is continually impressed by her patients’ courage in the face of adversity and is motivates to make a difference in their lives. Although Dr. Gray focuses her clinical attentions on lung cancer, she is also deeply involved in clinical research. She is the lead investigator on many thoracic clinical trials especially research investigating novel drug combinations and personalized treatment to advance the fight against lung cancer. 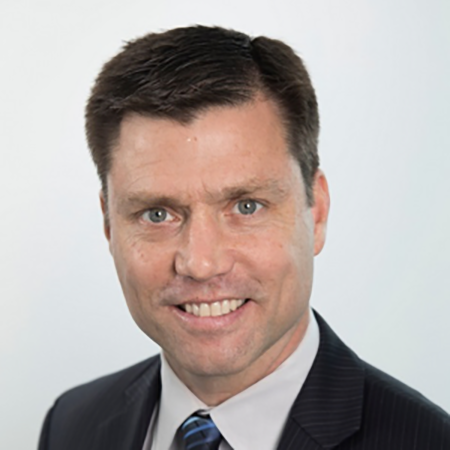 As the Director for Clinical Research in the Department of Thoracic Oncology, Dr. Gray directly supervises and manages the thoracic clinical research team as well as the structuring and development of our clinical trial portfolio. In this role, she fosters the clinical trial development through intra- and extramural collaborations between our medical, surgical, and radiation oncologists, research scientists, pathologists, and epidemiologists in the Department of Thoracic Oncology. Moffitt’s emphasis on translational research benefits patients by turning basic science research in the lab into new clinical advances that improve outcomes and quality of life. In addition, Dr. Gray reports that Moffitt is making great strides toward understanding the molecular and genetic factors that will allow each patient to have a personalized care plan. 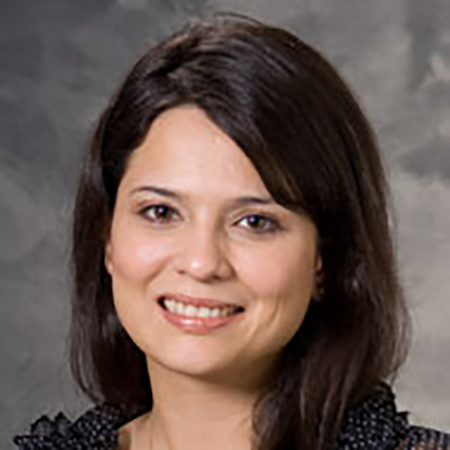 Dr. Ticiana Leal is a faculty member in the Division of Hematology, Oncology and Palliative Care at the University of Wisconsin Carbone Cancer Center (UWCCC). Dr. Leal earned her medical degree from the Federal University of Ceara, Brazil, and completed her residency in Internal Medicine at Weiss Memorial Hospital. She completed her fellowship in Geriatric Medicine at the University of Illinois at Chicago and her fellowship in medical oncology at the University of Wisconsin Hospital and Clinics. Dr. Leal is board certified in medical oncology and palliative care medicine. She specializes in the care of patients with thoracic malignancies. She serves as the leader of the UWCCC Thoracic Malignancies Disease Oriented Team. In addition, Dr. Leal is Co-Chair of the Big Ten Cancer Research Consortium (CRC) Thoracic Clinical Trial Working Group. Daryl Pritchard, Ph.D., is the Senior Vice President of Science Policy at the Personalized Medicine Coalition (PMC), where he leads PMC’s efforts to increase awareness and understanding of personalized medicine; identify and address barriers to the adoption of personalized medicine into the health care system; and develop and promote appropriate clinical, health care infrastructure, regulatory, and payment policies that will help advance patient-centered, personalized health care. Before coming to PMC, Dr. Pritchard served as the Director of Policy Research at the National Pharmaceutical Council (NPC). Prior to joining NPC, he served as the Director of Research Programs Advocacy and Personalized Medicine at the Biotechnology Industry Organization (BIO). Dr. Pritchard received his Ph.D. and master’s degree in genetics from the George Washington University, and completed a post-doctoral research fellowship at the Children’s National Medical Center. He was awarded the first American Society of Human Genetics (ASHG)/National Human Genome Research Institute (NHGRI) Fellowship in Genetics and Public Policy, where he worked as a health legislative assistant in the House of Representatives. Diane was diagnosed with stage IV lung cancer at the age of 30. The tumor is EGFR+ and MET amplified. She enjoys spending time with her family and her yorkie, Deejay. 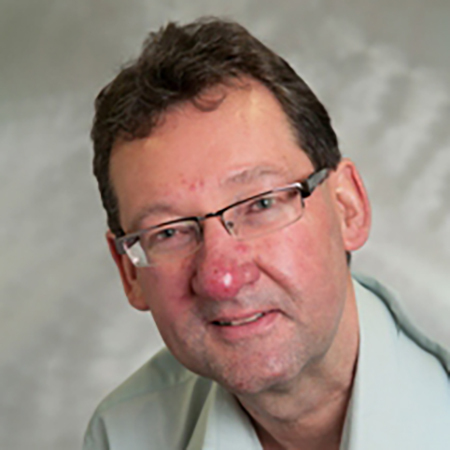 Dr. Stevens primary role is Director of the Centre for Bayesian Statistics in Health Economics (CHEBS). He graduated from Brunel University in 1982 with a BSc in Statistics/Mathematics. After graduating, he worked in the pharmaceutical industry for 24 years, including at SK&F Research Ltd (1982 – 1986), Wellcome Research Laboratories (1986 – 1995), GlaxoWellcome (1995 – 1996) and AstraZeneca R&D Charnwood (1996 – 2006). During this time Dr. Stevens gained experience in the design and analysis of pre-clinical studies and in all phases of clinical drug development, and held a variety of management positions. In 1998, he assumed a technical role in the development and application of statistical methods to improve the drug development process, with a particular interest in Bayesian methods. During this time, Dr. Stevens became interested in the application of Bayesian methods in health economics and was actively involved in the creation of CHEBS. His PhD was on latent variable modelling of effectiveness and resource use data in cost-effectiveness analyses of clinical trials. Dr. Stevens moved to the University of Sheffield in November 2006 to provide leadership to CHEBS and further develop my Bayesian interests.